With all those sets, tractors, technicians, software forums, updates and MP3 subscription discussions, we tend to forget about the nucleus of club music: record collectors. What we call techno, house, and so on today, was developed in Detroit and Chicago in an atmosphere of party, of mix tapes and of progressive radio shows. Styles, songs, ideas were mixed up, blended, amalgamated and from lust, new lust arose. DJ Lotti lives right in this atmosphere of record shelves, an endless source of love and inspiration to him. Calling himself THE SORRY ENTERTAINERS, he plays – no, he celebrates – music on the open platforms of Berlin club culture (like Wilde Renate, Bar25, 1000,…). Soon he found himself in a spiral, a maelstrom of ideas and of trying out. He found some friends to produce his own songs with, which were already clearly defined in his head, which was already playing in his ear. 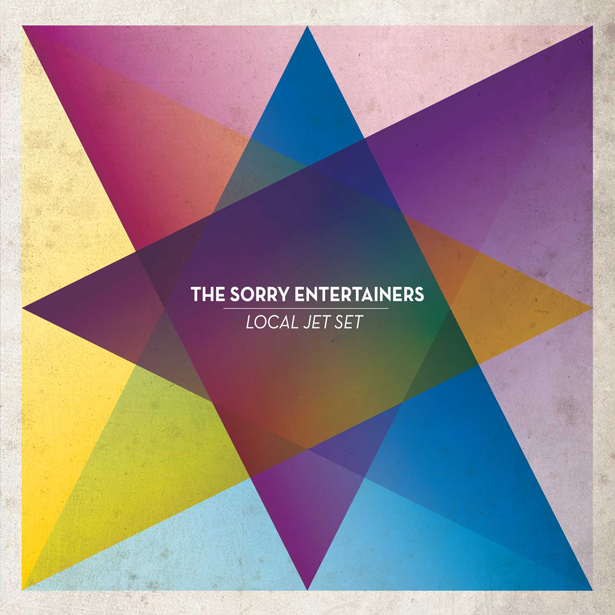 With producers and musicians M. RUX and RAZ OHARA, he’s now releasing The Sorry Entertainers – Local Jet Set. An incredibly warm and more than referential album, floating and swinging from actual club hits like Jeopardize or End Of Times to amazingly deep Moonshiner, based on the vocals of late blues and country star ROSCOE HOLCOMB (courtesy of Folkways/Smithsonian). In between, there are sounds of Hawaii and Tokyo, from Berlin and India, from the forties and the future. At no time does this music get stuck in a genre, in a trend, but moves in all directions, in an untroubled and airy fashion. Berlin-based singer RAZ OHARA’s vocals add another ingredient to the recipe and blends beats and strings, backgrounds and feelings to floating yet touching songs. This might be New Age, as was the title of the prereleased single, but it’s the kind of new age that indulges in the old age and kicks, no cross-legged nonsense. Accompanied by a beautiful cover by CARSTEN AERMES (kiosk royal) which manages the balancing act between twisted neo-romanticism and Russian/Italian futurism of the Twenties. The soul of images, the feeling of sound.